Cooking with Cannabis: The Basics was written to help individuals that need to ingest cannabis gain the skills and knowledge to do so without wasting time, energy and money. At the request of patients, author and previous dispensary owner Paul Gay guides would-be cannabis chefs through the process of preparing cannabis for cooking and making their own tasty basic recipes. Step-by-step instructions and photographs carefully document the supplies, processes and basic recipes for butter, oils, tinctures and the decarboxylation process for cannabis, needed in the vast majority of cannabis recipes. Ingestion is one of the most effective and safest ways to consume cannabis and the effects tend to last much longer. Avoidance of smoking for patients with asthma or those who have quit smoking are other arguments for the ingestion of cannabis. Careful attention was given to the preparation of palatable cannabis recipes, the explanation of the science involved and the supplies needed in cooking with cannabis make this volume is all one needs to get started. 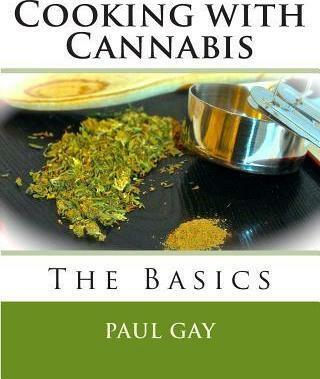 Paul's long involvement in providing support to patients that prefer edibles makes this book truly unique.